Low-fidelity hiss and lots of it without digital compression. 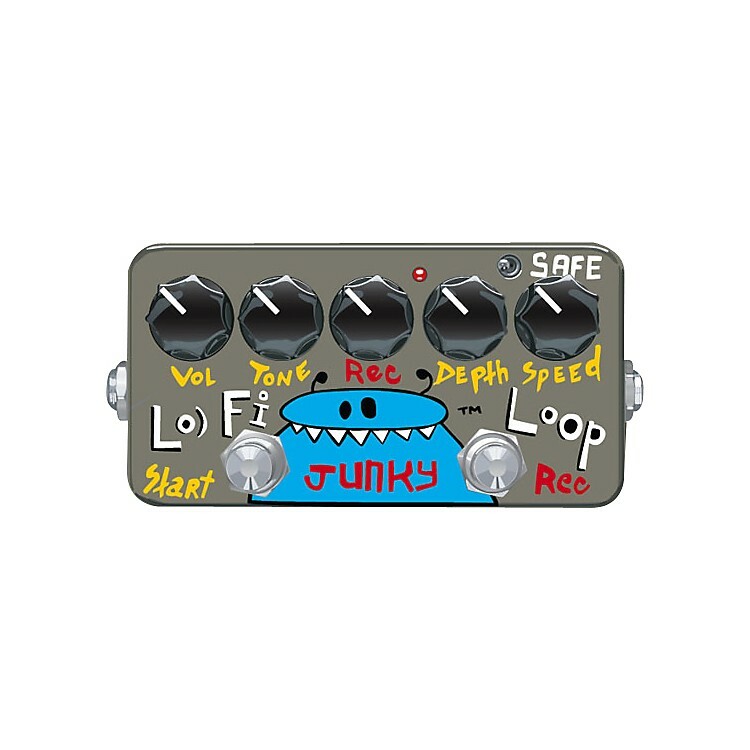 The Lo-Fi Loop Junky loop pedal from ZVex really is low-fidelity-the recording of your guitar is filled with hiss, moan, distortion, and warped-record strangeness, but everyone will be able to tell the loop from your real guitar. Because the processing of your direct guitar is done with a specialized bootstrap circuit with the very highest impedance circuit ZVex has developed, your direct guitar will have detail incomparable with anything you've heard before. The juxtaposition of your direct guitar against the smashed, distorted, shimmering, warbling recording of the loop mechanism will make it clear once and for all who is the guitarist and what is the machinery. There are distinct advantages and disadvantages to this tiny, battery-saving looper pedal. You may only record one loop. There is no sound-on-sound available with this technology. But, if you unplug your cables, take out the battery, and bury it for a hundred years, the last loop you recorded will still be there when you drag yourself out of the grave and plug it in for the centennial resurrection gig. That's because the ZVex Lo-Fi Loop Junky uses really bizarre technology that literally crams analog signals into static digital storage cells without analog-to-digital conversion. It's pure analog storage, just like the old bucket-brigade technology, for 20 seconds straight. Note: Due to the nature of each hand-painted Lo-Fi Loop Junky pedal, there may be a slight difference in design from the posted image.